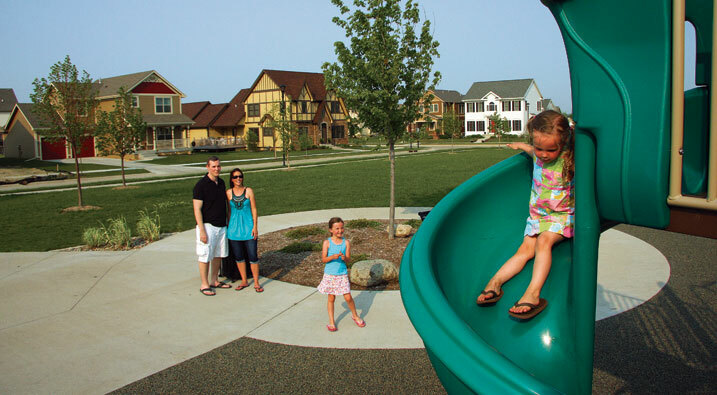 Dean Park is a neighborhood park, featuring a rubberized playground, half-court basketball court, splash pad and shelter. It opened in 2010 and has become the gathering hub for current residents. From Halloween Trick-or-Treating to Easter Egg Hunts, Dean Park is a magnet for fun. Here’s a photo from the 2013 Ice Cream Social, complete with animal balloons, hot dogs and face-painting!